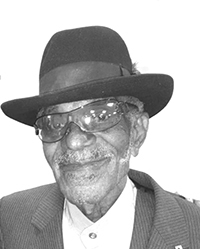 Augustus Funeral Home regrets to announce the passing of Frederick Arthur Burgess. A Home Going service for Frederick Arthur Burgess, son of the late Dorothy Burgess and Edward ‘Eddie Fough, loving father to Cordell Matthews, Donna Mae Harvey, Lafay Bolin and the late Rochelle Bascome nee Hartford, brother to Angela Lambe [Andre], wife Barbara Burgess, in his 84th year of 9 Harmony Cottage Pembroke Park, Pembroke will be held at The New Testament Church of God, Heritage Worship Centre Today, April 10, 2019 at 12:00 pm. Relatives and friends may pay their last respects at The New Testament Church of God, Heritage Worship Centre Today, April 10, 2019 from 11:00 am – 11:55 am. Lovingly remembered by grandchildren: Jahkio and Jakia Bolin, Teko Harvey, Quazuri Matthews-Wong; great grandchildren: Te-jah Trott and Adonai Bolin; aunt: Grace Burgess; uncle: Alphonso Burgess; special friends: Donald Nisbett, The Morning Crew, Terry Wade, The Russell family, Clyde and Gaynete Holder, The Ex-Artillery family, The Mini Yacht Club family, The RAA family, The Woody’s family, The Places Place family and many other relatives and friends, too numerous to mention.